« March for the Alternative: A Huge Success! The massive turn out in London on the 26 March for the TUC organised March for the Alternative demonstrated that huge numbers of people from across the UK have real concerns about the direction the ConDem government is taking us. 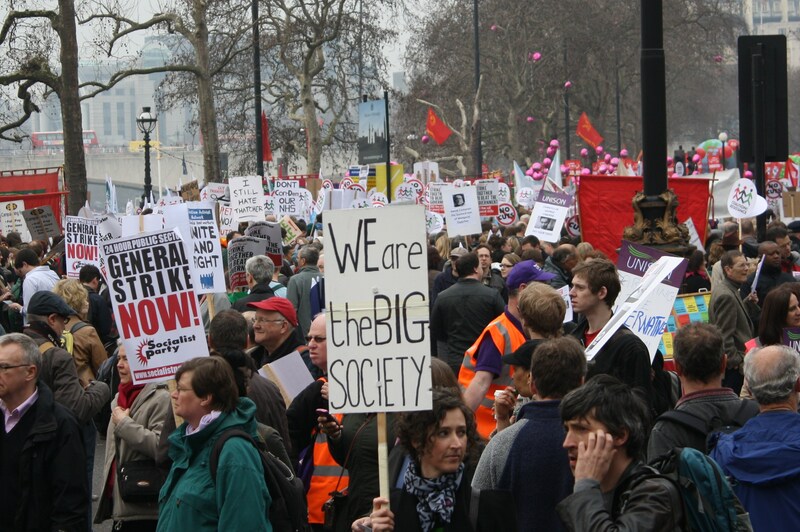 As the pictures show, the people taking part in the march were from all walks of life: from concerned parents to library campaigners, NHS staff worried about privatisation to off-duty police officers, fire fighters to students and young people worried about the rising cost of education and the alarming rates of youth unemployment, and hundreds of thousands of other people all united by the fact that Government plans for cuts are reckless, excessive and will hurt communities and people through out the country.